This entry was posted in Rescued Dog and tagged #blog. #dogblog, #gotchaday, #rescue, #rescueddogs, #rescuedog by admin. Bookmark the permalink. Happy Gotcha Day to both of you, I know how much you enrich each other’s lives! That’s very interesting to read about hemp oil and cbd oil. I don’t know all that much about either one, other than how many of my group members swear by cbd oil. I wonder if hemp has the same effects on things like pain and dementia. I’m impressed by the generosity of the company and I’m going to go check them out right now! Thanks for such helpful info. Thanks Hindy and thank you for just everything. I am also learning daily and it is great and with Layla getting older their products are fantastic. Happy gotcha day Layla!! Glad to hear the hemp product is helping her. I use CBD for my older dog, Kitsune, to help with his arthritis and for my younger dog, Fenrir, to help with his anxiety. Fenrir “hops” a bit on one of his back legs too. The vet says it’s very low grade luxating patella. If it ever gets worse there’s a surgery the vet can do to fix it, but luckily so far it’s stayed the same and hasn’t gotten bad enough to require surgery. I hope you have an awesome weekend!! I’m so happy that y’all found each other. Happy Gotcha Day! Happy Gotcha Day Layla!!! I hoped Ma spoiled you rotten from dawn to dusk, it’s what you deserve. Hemp based products have really taken off, especially for pets. I’m so glad you found some relief with these products. Sharing. Hope Layla had a wonderful Gotcha Day! From reading your posts the last few years, I can see how much you both mean to each other. Layla looks amazing and I would have assumed she was about 5 or 6. I have wanted to try Hemp & CBD oil with Ruby. Thanks for the information. Restorative Botanicals sounds like a wonderful company and I will definitely check them out! Hemp oil works wonders, but you definitely need to get it from the right source! The balm sounds excellent, I’ve been looking for something I can apply topically to Cow’s skin when she itches that she wouldn’t lick. Does she try to lick it off? Congrats on your 8th anniversary! Hemp-based products are being used in many products these days and becoming so available. Even people who were initially skeptics of these products are now finding them useful. I hadn’t heard of the balm to help with itching. I’ll have to try it. Hmmmm…. I have yet to look into hemp products. With MMVD I need to be sure it will not mess with the heart. But certainly interesting and worth exploring. And happy gotcha day! Happy Gotcha Day, Layla! We’ve both been with our moms for eight years! We’re so glad you found each other, and we’re glad the hemp oil makes you feel better. 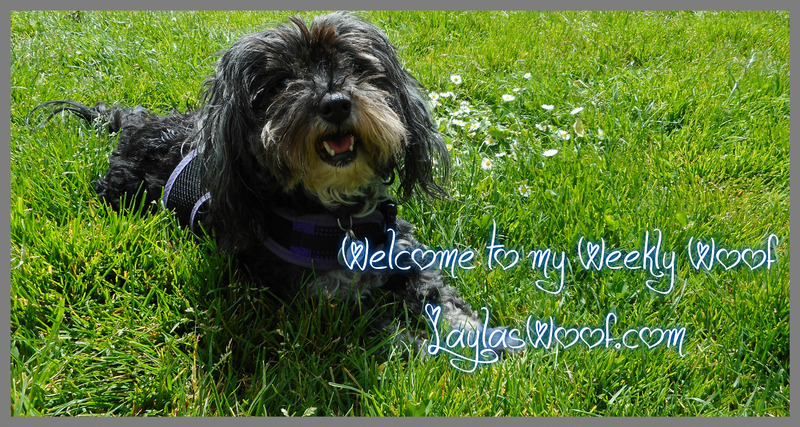 Happy Gotcha Day Layla – how fabulous! Interesting about the CBD versus hemp. We use CBD quite a bit for serious pain, and hemp has helped with other issues. For Spike’s neurology we only use CBD. I’m so glad you’ve found something that helps Layla – you two are such a delight and make me smile every time I see you come across my feed! Thanks Rebecca and am happy you are also using them, you should check out this company whose products are amazing for us also. I NEED some of this for Harvey! Please send some as soon as possible. Wait, bring it yourself and have a holiday too, the weather is great right now! Some of your paragraphs stick together making your great post a bit harder to read. Do you need help sorting it out? Hi Marjorie and I know I messed up there and sitting on it this morning to sort it out. I wish I could come visit hey and maybe stay LOL but cannot. International shipments are accepted for their products so you can check into it. Happy Belated Gotcha Day Layla! It sounds like you’re both pretty lucky to have each other. I bet those 8 years went by in a flash. Here’s to 8+ more! Happy Gotcha Day, Layla! You’re journey led you to the perfect place to be. I’ve heard so many great things about CBD oil and like that you shared the difference between the two types. I’m happy Layla and you found each other. Thanks Paula and my pleasure, we are all always learning. Happy (belated) Gotcha Day to both of you! All of those products sound remarkable. Nelly suffers terribly from allergies in the summer. I’ll look into the Topical Relief Balm for her. Thanks Beth and Layla does too and I have finally found something and am so happy. Happy days Layla! I’m glad your mom found the hemp oil product that helps you out so much. I think it sounds great – going to go check out and see what they have for cats. Happy days Layla! You got lucky when your mom found you in the shelter – I’m sure she feels the same. Those products sound great. I’m going to see what they have for cats. I like the full spectrum products too. Morning Dorothy, thank you and like you am happy to have found a product that works for her and not a chemical. She is being spoiled rotten with treats LOL. I would love to try the restore calm. My dogs are very hyper and vocal.